These are the release notes for Sophos Threat Detection Engine. The Engine is included with Sophos security products and provides protection against malware and other threats. 3.76.0 - General improvements to file type handling and malware detection. 3.76.0 - Security improvements to the virus engine. 3.76.0 - Fixed issues reported by customers. 3.75.0 - General improvements to file type handling and malware detection. 3.75.0 - Security improvements to the virus engine. 3.75.0 - Fixed issues reported by customers. 3.74.0 - General improvements to file type handling and malware detection. 3.74.0 - Improved handling of customer submitted samples. 3.74.1 - Security improvements to the virus engine. 3.74.1 - Fixed issue reported by Sophos PureMessage for Microsoft Exchange customers. 3.74.2 - Security improvements to the virus engine. General improvements to file type handling and malware detection. Improved handling of customer submitted samples. Security improvements to the virus engine. Fixed issues reported by customers. (3.68.1) Improved support for various encoding methods. (3.68.1) Fixed issues reported by customers. (3.68.5) Supports the SVRT (Sophos Virus Removal Tool) and contains changes to obtain additional telemetry about PE files. (3.67.1) Improved text extraction capabilities for data leak protection. (3.67.3) Improved handling of customer submitted files. (3.67.2) Improved handling of customer submitted files. Improved text extraction from Microsoft Office documents. CPISSUE-2002 Fixed incorrect error level reported from SAV32CLI when running with the -pua option. CPISSUE-2828 Added Live Protection logging to SAV32CLI. Visit the Sophos Community at community.sophos.com/ and search for other users who are experiencing the same problem. Visit the Sophos support knowledge base at www.sophos.com/en-us/support.aspx. Download the product documentation at www.sophos.com/en-us/support/documentation.aspx. Open a ticket with our support team at https://secure2.sophos.com/support/contact-support/support-query.aspx. Copyright © 2019 Sophos Limited. All rights reserved. No part of this publication may be reproduced, stored in a retrieval system, or transmitted, in any form or by any means, electronic, mechanical, photocopying, recording or otherwise unless you are either a valid licensee where the documentation can be reproduced in accordance with the license terms or you otherwise have the prior permission in writing of the copyright owner. 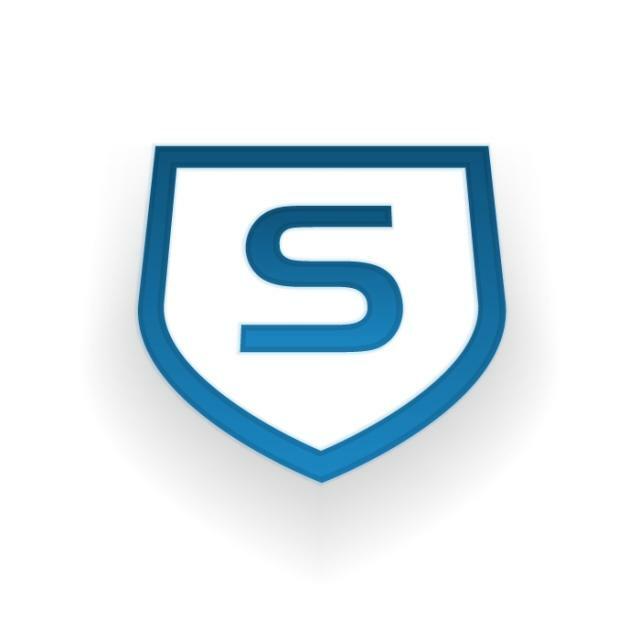 Sophos and Sophos Anti-Virus are registered trademarks of Sophos Limited and Sophos Group. All other product and company names mentioned are trademarks or registered trademarks of their respective owners. Copyright (c) 1992-2013 The FreeBSD Project. All rights reserved. In the following statement, the phrase "this text" refers to portions of the system documentation. In the following statement, the phrase "This material" refers to portions of the system documentation. This material is reproduced with permission from American National Standards Committee X3, on Information Processing Systems. Computer and Business Equipment Manufacturers Association (CBEMA), 311 First St., NW, Suite 500, Washington, DC 20001-2178. The developmental work of Programming Language C was completed by the X3J11 Technical Committee. NOTE: The copyright of UC Berkeley's Berkeley Software Distribution ("BSD") source has been updated. The copyright addendum may be found at fttp://ftp.cs.berkeley.edu/pub/4bsd/README.Impt.License. Change and is included below. "3. All advertising materials mentioning features or use of this software must display the following acknowledgement: This product includes software developed by the University of California, Berkeley and its contributors." Copyright © 1991, 2000 by Lucent Technologies. Copyright (c) 2004-2005 David Schultz <das@FreeBSD.ORG> All rights reserved. This software was developed by The Institute of Electrical and Electronics Engineers, Incorporated (IEEE), through the Industry Connections Security Group (ICSG) of its Standards Association. Portions of it include software developed by the OpenSSL Project for use in the OpenSSL Toolkit (http://www.openssl.org/), and those portions are governed by the OpenSSL Toolkit License. Copyright (c) 2012 IEEE. All rights reserved. "This product includes software developed by the IEEE Industry Connections Security Group (ICSG)". The name "IEEE" must not be used to endorse or promote products derived from this software without prior written permission from the IEEE Standards Association (stds.ipr@ieee.org). Products derived from this software may not contain "IEEE" in their names without prior written permission from the IEEE Standards Association (stds.ipr@ieee.org). THIS SOFTWARE IS PROVIDED "AS IS" AND "WITH ALL FAULTS." IEEE AND ITS CONTRIBUTORS EXPRESSLY DISCLAIM ALL WARRANTIES AND REPRESENTATIONS, EXPRESS OR IMPLIED, INCLUDING, WITHOUT LIMITATION: (A) THE IMPLIED WARRANTIES OF MERCHANTABILITY AND FITNESS FOR A PARTICULAR PURPOSE; (B) ANY WARRANTY OF NON-INFRINGEMENT; AND (C) ANY WARRANTY WITH RESPECT TO THE QUALITY, ACCURACY, EFFECTIVENESS, CURRENCY OR COMPLETENESS OF THE SOFTWARE. IN NO EVENT SHALL IEEE OR ITS CONTRIBUTORS BE LIABLE FOR ANY DIRECT, INDIRECT, INCIDENTAL, SPECIAL, EXEMPLARY, OR CONSEQUENTIAL DAMAGES, (INCLUDING, BUT NOT LIMITED TO, PROCUREMENT OF SUBSTITUTE GOODS OR SERVICES; LOSS OF USE, DATA, OR PROFITS; OR BUSINESS INTERRUPTION) HOWEVER CAUSED AND ON ANY THEORY OF LIABILITY, WHETHER IN CONTRACT, STRICT LIABILITY, OR TORT (INCLUDING NEGLIGENCE OR OTHERWISE) ARISING IN ANY WAY OUT OF THE USE OF THIS SOFTWARE, EVEN IF ADVISED OF THE POSSIBILITY OF SUCH DAMAGE AND REGARDLESS OF WHETHER SUCH DAMAGE WAS FORESEEABLE. THIS SOFTWARE USES STRONG CRYPTOGRAPHY, WHICH MAY BE SUBJECT TO LAWS AND REGULATIONS GOVERNING ITS USE, EXPORTATION OR IMPORTATION. YOU ARE SOLELY RESPONSIBLE FOR COMPLYING WITH ALL APPLICABLE LAWS AND REGULATIONS, INCLUDING, BUT NOT LIMITED TO, ANY THAT GOVERN YOUR USE, EXPORTATION OR IMPORTATION OF THIS SOFTWARE. IEEE AND ITS CONTRIBUTORS DISCLAIM ALL LIABILITY ARISING FROM YOUR USE OF THE SOFTWARE IN VIOLATION OF ANY APPLICABLE LAWS OR REGULATIONS. Copyright © 1990–2007 Info-ZIP. All rights reserved. This software is provided “as is,” without warranty of any kind, express or implied. In no event shall Info-ZIP or its contributors be held liable for any direct, indirect, incidental, special or consequential damages arising out of the use of or inability to use this software. Altered versions—including, but not limited to, ports to new operating systems, existing ports with new graphical interfaces, versions with modified or added functionality, and dynamic, shared, or static library versions not from Info-ZIP—must be plainly marked as such and must not be misrepresented as being the original source or, if binaries, compiled from the original source. Such altered versions also must not be misrepresented as being Info-ZIP releases--including, but not limited to, labeling of the altered versions with the names "Info-ZIP" (or any variation thereof, including, but not limited to, different capitalizations), "Pocket UnZip," "WiZ" or "MacZip" without the explicit permission of Info-ZIP. Such altered versions are further prohibited from misrepresentative use of the Zip-Bugs or Info-ZIP e-mail addresses or the Info-ZIP URL(s), such as to imply Info-ZIP will provide support for the altered versions. Info-ZIP retains the right to use the names “Info-ZIP,” “Zip,” “UnZip,” “UnZipSFX,” “WiZ,” “Pocket UnZip,” “Pocket Zip,” and “MacZip” for its own source and binary releases. Copyright © 2008 ny David P. D. Moss. All rights reserved. Neither the name of David P. D. Moss nor the names of contributors may be used to endorse or promote products derived from this software without specific prior written permission. Copyright © 1998–2017 The OpenSSL Project. All rights reserved. - Atomicops support for generic gcc, located in src/google/protobuf/stubs/atomicops_internals_generic_gcc.h. This file is copyrighted by Red Hat Inc.
- Atomicops support for AIX/POWER, located in src/google/protobuf/stubs/atomicops_internals_power.h. This file is copyrighted by Bloomberg Finance LP. Copyright (c) 2005-2007 Paul Hsieh All rights reserved. This LICENSE AGREEMENT is between the Python Software Foundation ("PSF"), and the Individual or Organization ("Licensee") accessing and otherwise using Python 3.5.2 software in source or binary form and its associated documentation. "Copyright © 2001-2018 Python Software Foundation; All Rights Reserved" are retained in Python 3.5.2 alone or in any derivative version prepared by Licensee. In the event Licensee prepares a derivative work that is based on or incorporates Python 3.5.2 or any part thereof, and wants to make the derivative work available to others as provided herein, then Licensee hereby agrees to include in any such work a brief summary of the changes made to Python 3.5.2. PSF is making Python 3.5.2 available to Licensee on an "AS IS" basis. PSF MAKES NO REPRESENTATIONS OR WARRANTIES, EXPRESS OR IMPLIED. BY WAY OF EXAMPLE, BUT NOT LIMITATION, PSF MAKES NO AND DISCLAIMS ANY REPRESENTATION OR WARRANTY OF MERCHANTABILITY OR FITNESS FOR ANY PARTICULAR PURPOSE OR THAT THE USE OF PYTHON 3.5.2 WILL NOT INFRINGE ANY THIRD PARTY RIGHTS. PSF SHALL NOT BE LIABLE TO LICENSEE OR ANY OTHER USERS OF PYTHON 3.5.2 FOR ANY INCIDENTAL, SPECIAL, OR CONSEQUENTIAL DAMAGES OR LOSS AS A RESULT OF MODIFYING, DISTRIBUTING, OR OTHERWISE USING PYTHON 3.5.2, OR ANY DERIVATIVE THEREOF, EVEN IF ADVISED OF THE POSSIBILITY THEREOF. By copying, installing or otherwise using Python 3.5.2, Licensee agrees to be bound by the terms and conditions of this License Agreement. The author of this software is David M. Gay. Copyright (c) 1991, 2000 by Lucent Technologies. Permission to use, copy, modify, and distribute this software for any purpose without fee is hereby granted, provided that this entire notice is included in all copies of any software which is or includes a copy or modification of this software and in all copies of the supporting documentation for such software. THIS SOFTWARE IS BEING PROVIDED ""AS IS"", WITHOUT ANY EXPRESS OR IMPLIED WARRANTY. IN PARTICULAR, NEITHER THE AUTHOR NOR LUCENT MAKES ANY REPRESENTATION OR WARRANTY OF ANY KIND CONCERNING THE MERCHANTABILITY OF THIS SOFTWARE OR ITS FITNESS FOR ANY PARTICULAR PURPOSE. Neither the name of the ZETETIC LLC nor the names of its contributors may be used to endorse or promote products derived from this software without specific prior written permission. This code is derived from software contributed to Berkeley by Chris Torek. THE RAR ARCHIVER AND THE UnRAR UTILITY ARE DISTRIBUTED “AS IS”. NO WARRANTY OF ANY KIND IS EXPRESSED OR IMPLIED. YOU USE AT YOUR OWN RISK. THE AUTHOR WILL NOT BE LIABLE FOR DATA LOSS, DAMAGES, LOSS OF PROFITS OR ANY OTHER KIND OF LOSS WHILE USING OR MISUSING THIS SOFTWARE. If you don’t agree with terms of the license you must remove UnRAR files from your storage devices and cease to use the utility.